It can be difficult to secure business financing if your credit isn’t good, but a handful of small business credit cards for fair credit offer competitive APRs, low or no annual fees, and even rewards programs. We compared business credit cards to identify the five cards best for owners with a credit score under 670. This article was originally published in December 2018. We update the content regularly because the banks, credit unions, and other providers we cover change their product offerings frequently. After this article was originally published, the Federal Reserve increased short-term interest rates. Our most recent revisions were made to provide up-to-date APR information. We monitor Federal Reserve rate changes because they impact the annual percentage rates (APRs) issuers charge on credit cards. Credit card APRs are based on a set percentage rate over the prime rate. When the prime rate changes, so do card APRs, which increased by a quarter percentage point to match the Fed rate increase. The Federal Reserve last raised its benchmark interest rate a quarter percentage point in December 2018. Federal Reserve Chairman Jerome Powell earlier this year suggested future rate increases may be put on hold, as inflation has moderated. The Fed had earlier predicted it could raise rates twice in 2019, but that now appears in doubt. Increasing the benchmark rate two times would drive credit card APRs up by half a percentage point. We will continue to monitor Fed rate moves. What Is a Small Business Credit Card for Fair Credit? Small business credit cards for fair credit are designed for business owners with personal credit scores between 580 and 669. To qualify for most other small business credit cards, you’ll need a score of 670 (good credit score) to 850 (highest possible credit score). If your personal credit score is below 580, consider a secured business credit card. Small business credit cards for fair credit may charge higher fees than other small business credit cards, including APRs of 30% or higher. They also offer lower rewards and fewer benefits, like extended warranty protection. But they provide owners a way to build credit with an unsecured business credit card. We looked at more than a dozen personal and small business credit cards for fair credit. Most aren’t worth recommending because they charge excessive fees—including annual fees and charges to open a credit account. We looked for cards that offer owners a relatively inexpensive way to improve their credit and eventually graduate to a better small business credit card. Fees: Monthly and annual charges assessed on a small business credit card. The best small business credit cards for fair credit charge low or no annual fees. APR: The interest rate charged if you don’t pay off your bill in full each month. Look for a card that assesses an APR of 26% or less. Rewards: Points or cash back earned by using your business credit card. Fair credit business cards should offer at least 1% back, or slightly lower than the best cash-back business cards. Additional features: Benefits offered to cardholders, like extended warranties and free auto insurance on car rentals. They all also report your spending and payment history to credit bureaus, which could help improve your credit score. Based on the features business owners with fair credit should look for in a credit card, we rank the Capital One® Spark® Classic for Business as the overall best business credit card for fair credit. Spark Classic is the only nationally available business credit card on our list that charges no monthly or annual fees. It offers 1% cash back, and its ongoing APR ticks in just above 25%. Capital One® Spark® Classic for Business is best for owners seeking to build both personal and business credit and who also want to earn rewards. It charges no monthly or annual fees—a claim not all of the cards on this list can make—and comes with a variable APR of 25.24%, which is about average for a business credit card for fair credit. The typical credit card charges about 17% APR, so the interest rate on Spark Classic is fairly high. But when compared with other business credit cards for fair credit, the APR ranks about average. Capital One® QuicksilverOne®, a personal credit card for fair credit, charges an ongoing APR of 26.99%. Capital One® Spark® Classic for Business pays 1% cash back on all purchases. Compare that to BBVA Compass Visa® Business Rewards, which offers 3x points on certain bonus category spending. That card is not available nationally. Spark Classic does not offer introductory rewards. This is typical among business credit cards for fair credit. Capital One® Spark® Classic for Business offers a number of protections against lost or damaged items you purchase with the card, like extended warranty protection. Many, but not all, of the cards on this list offer at least some loss protections. This card offers more protections than any other card on our list. The Wells Fargo Business Secured Credit Card, for example, offers only purchase protection. Extended warranty protection and car rental insurance are common benefits offered by the best small business credit cards. Capital One® Spark® Classic for Business charges a high APR and offers low ongoing rewards when compared with small business credit cards for owners with good to excellent credit. But this card is a solid pick when compared with other small business credit cards for fair credit. Still, you should use this card to build your credit so you can qualify for one that costs less and offers better rewards. We considered both user reviews and editorial reviews when rating the Capital One® Spark® Classic for Business. This card is often described by both users and editorial reviews as the best small business credit card for fair credit. Still, reviewers acknowledge this card should be used to build enough credit to graduate to a card that offers better rewards and lower costs. 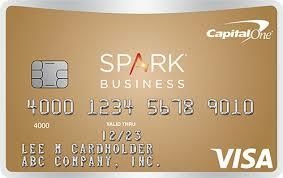 Users say they are largely satisfied with their Capital One® Spark® Classic for Business card. Some complain about low credit limits and missing perks. 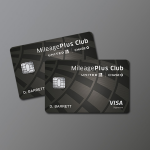 Cardholders say the card’s best feature is the cash-back rewards. We rate small business credit cards based on their costs, rewards, and benefits. Capital One® Spark® Classic for Business editorial reviews often name this the best small business credit card for fair credit. This card earns high marks because it charges no annual fee. But it’s also recognized because it’s a nationally available credit card; most business cards for fair credit are not. The Wells Fargo Business Secured Credit Card is best for owners who can’t qualify for an unsecured card or want a credit limit of up to $25,000. You’ll need $500 to $25,000 in cash to put down a security deposit, which unsecured cards don’t require. You’ll pay an ongoing APR of 17.40%, which is good compared with other cards on our list. The APR on the Wells Fargo Business Secured Credit Card is far lower than other business credit cards for fair credit on this list. It is, however, the only secured card on our list, which means you’ll need access to capital to fund your account. Unlike BBVA Compass Visa® Business Rewards or Capital One® Spark® Classic for Business, this Wells Fargo card charges an annual fee. The Wells Fargo Business Secured Credit Card offers no introductory rewards, but it does offer ongoing rewards that are potentially more valuable than what you’ll earn with the Capital One® Spark® Classic for Business. Cash back: Earn 1.5% cash back for every $1 spent on purchases; redemption is automatic as you’ll receive a statement credit or the bank will deposit cash rewards in your eligible checking or savings account once per quarter. Points: Earn 1 point for every $1 spent on net purchases and 1,000 bonus points when your company spends $1,000 in any monthly billing period; points can be redeemed for gift cards, merchandise, or airline tickets. The flat-rate cash-back option will net your business a higher return than the 1% cash back the Capital One® Spark® Classic for Business offers. But it’s lower than the 3x points the BBVA Compass Visa® Business Rewards offers in some bonus categories. This Wells Fargo card is the only option on our list that lets you decide whether to receive cash back or points rewards. The Wells Fargo Business Secured Credit Card comes with just one major benefit: purchase protection. Wells Fargo will replace, repair, or reimburse you for eligible items in the event of theft or damage within the first 90 days of purchase. This is similar to the purchase protection offered by the Capital One® Spark® Classic for Business. The Capital One card also offers extended warranty protection and car rental insurance. The Wells Fargo Business Secured Credit Card isn’t an unsecured credit card, which means you’ll need to deposit money to get a credit line. This card isn’t good for businesses that are short on cash. If you need to build credit, this is a good alternative to a business credit card for fair credit because your on-time payments and utilization will be reported to the credit bureaus. If you want an unsecured credit card for owners with fair credit, choose Capital One® Spark® Classic for Business. It’s the only unsecured business credit card on our list that is nationally available. We considered both user reviews and editorial reviews when rating the Wells Fargo Business Secured Credit Card. Editorial reviews generally name this card the best business secured card on the market. Users say they’ve been able to improve their credit score by using this card responsibly, but not everyone has had a chance to move to an unsecured card. Wells Fargo Business Secured Credit Card users say their responsible use of this card has allowed them to improve their personal credit score. Others complain that even when they improved their credit score, the issuer failed to offer them a chance to graduate to an unsecured business credit card. Although your credit score is an important factor, it’s not the only factor an issuer considers when deciding whether to extend credit. Debt, for example, may play a role. We rate small business credit cards based on their costs, rewards, and benefits. We named the Wells Fargo Business Secured Credit Card the best secured small business credit card. 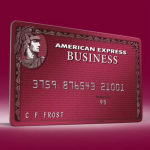 The card offers owners a low-cost way to build credit, but it does charge an annual fee. Some personal secured cards waive all annual fees. Only business owners with an existing relationship with the bank may apply online for the Wells Fargo Business Secured Credit Card. Otherwise, you’ll need to apply in person at a branch. When considering your application, Wells Fargo will examine your credit experience and payment history, cash flow, existing credit obligations, and your current relationship with the bank. BBVA Compass Visa® Business Rewards is best for small business owners who live in the Sunbelt, as this card is only available in seven southern and western U.S. states. This card is the only card on our list to offer 0% introductory APR for purchases. BBVA Compass offers an ongoing APR of 11.49% to 25.49%. Owners with fair credit should expect to pay an APR on the high end of the range. The bottom end of the interest rate range on BBVA Compass Visa® Business Rewards card is well below the average credit card APR. Business owners with fair credit are unlikely to qualify for the lowest rate. The top end of the range is slightly less than you’d pay with the Capital One® Spark® Classic for Business. As you improve your credit, you can request an interest rate reduction and continue to use this card. BBVA Compass Visa® Business Rewards is the only card on our list to offer introductory rewards. Its ongoing rewards are offered as part of a tiered program. No other cards on our list offer tiered rewards, and none offer ongoing rewards for category purchases that pay as well as this card. You’ll earn 20,000 CompassPoints when you make $3,000 in purchases in the first 90 days. That’s an excellent return for a small business credit card for fair credit. Few cards for fair credit offer introductory rewards. Points can be redeemed for statement credits, but you must redeem a minimum of 2,500 points. Other cards on this list place fewer or no restrictions on when points can be redeemed. 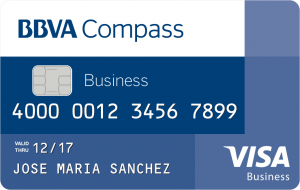 Like several other cards on this list, the BBVA Compass Visa® Business Rewards card offers protections against theft and damage of items paid for with the card. It also includes a travel benefit not seen elsewhere. Purchase protection: BBVA Compass will replace, repair, or reimburse you for eligible items in the event of theft or damage within the first 90 days of purchase. Travel accident insurance: You’ll receive coverage up to $500,000 for travel accidents when transportation is purchased with your business credit card. Auto rental collision damage waiver: You’re covered for damage due to collision or theft when you rent an eligible car with your BBVA Compass Visa® Business Rewards card. The Capital One® Spark® Classic for Business offers similar purchase protection and auto rental insurance. It also offers extended warranty protection, while the BBVA Compass card does not. Unlike the other business credit cards on our list, the BBVA Compass Visa® Business Rewards card is not available nationally. Business owners in just seven states are eligible to apply: Alabama, Arizona, California, Colorado, Florida, New Mexico, and Texas. If you live outside of these states, consider the Capital One® Spark® Classic for Business, which is available nationally. We considered both user reviews and editorial reviews when rating the BBVA Compass Visa® Business Rewards card. User reviews mostly focus on customer service issues, while editorial reviews applaud the lack of an annual fee. Editorial reviews rate the customer experience as average. BBVA Compass Visa® Business Rewards card user reviews focused negatively on customer service. We could not find any positive user reviews. We rate small business credit cards based on their costs, rewards, and benefits. BBVA Compass Visa® Business Rewards earns high marks for its rewards program and its lack of an annual fee. This card would be more valuable if it was available to business owners outside of the Sunbelt region. Small business owners cannot apply for BBVA Compass Visa® Business Rewards online. The bank directs potential cardholders to apply at a branch or to call a toll-free phone number. Bento for Business is best for businesses seeking a prepaid credit card option that requires fewer qualifications than traditional small business credit cards. 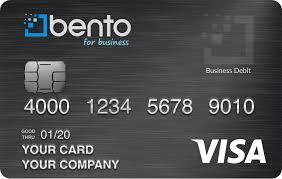 Bento is a good choice for businesses that don’t need many cards, as the issuer offers the first two for free. If you need more than two cards, you’ll pay a monthly fee of $29 or more. No other card on our list charges a monthly fee. Bento will waive the monthly fee if your business spends $20,000 or more per month. Unlike other prepaid cards, Bento does not charge transaction, new card issuance, setup, or load fees. As a prepaid card, there also is no APR and no annual fee. Like most prepaid business cards, Bento for Business offers no rewards. Every other card on our list offers the opportunity to earn rewards on card spending. Bento for Business offers several features that other cards on our list offer, but which aren’t particularly common to business prepaid cards, like purchase protection and rental car insurance. Auto rental collision damage waiver: Receive primary rental coverage when you rent a car for business. You may be reimbursed for up to the actual cash value of the vehicle in case of collision or theft. Purchase protection: When you use your Bento for Business prepaid debit card and your purchase is stolen or damaged within the first 90 days, you’re covered up to $10,000 per claim and $50,000 per year. The item will either be repaired or replaced, or you will be reimbursed. The Capital One® Spark® Classic for Business offers similar purchase protection and auto rental insurance. It also offers extended warranty protection, while Bento for Business does not. Bento for Business isn’t an unsecured credit card, and so you can only spend up to the amount you have loaded on the card. The card also doesn’t report activity to the credit bureaus, so using Bento won’t help you move your credit from fair to good. And, unlike other business credit cards for fair credit, Bento doesn’t offer any rewards for your spending. If improving your credit and earning rewards are important to you, consider another credit card. The Wells Fargo Business Secured card reports payments to credit bureaus and offers ongoing rewards. We considered both user reviews and editorial reviews when rating Bento for Business. This prepaid card is seen as an inexpensive way to pay for business expenses and manage employee spending. The monthly cost can get expensive if you need more than two cards. We scoured the internet to find Bento for Business user reviews. Users say managing multiple cards is simple and efficient, making it easy to control business expenses. Customer service is seen as a huge positive. Some cardholders complain that it takes too long for deposited funds to be processed. Transfers may take two to three business days to process. We rate small business credit cards based on their costs, rewards, and benefits. Bento is ideal for small businesses that only need a card or two. Ongoing costs, in this case, almost certainly would be lower than with a small business credit card. But if you need more than two cards, you’ll be better off with a credit card to keep costs down. You can apply online for Bento for Business and receive instant approval. The account will take two to three days to fund, and you’ll receive your first card within seven to 10 business days. The Capital One® QuicksilverOne® is best for owners who don’t like the available options for the best business credit card for fair credit. It offers a solid fixed-rate return on all purchases. The annual fee is $39, which is higher than other options on our list. You’ll pay a variable APR of 26.99%, which is higher than other cards on this list. The APR for the Capital One® QuicksilverOne® is the highest annual fee of any card on our list. The only other card on our list to charge an annual fee is the Wells Fargo Business Secured Credit Card ($25). 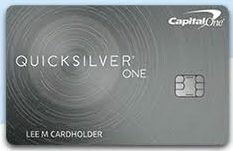 The Capital One® QuicksilverOne® offers no introductory rewards. You’ll earn 1.5% cash back in ongoing rewards on every purchase. That’s more than the 1% cash back the Capital One® Spark® Classic for Business pays, but lower than you could earn in certain bonus categories with the BBVA Compass Visa® Business Rewards card. The Capital One® QuicksilverOne® includes several benefits protecting against theft and damage like other cards on our list offer, but it’s missing one common benefit: purchase protection. Extended protection: You’ll get additional warranty protection on eligible items that are purchased with your business card, up to one year past the manufacturer’s warranty. Auto rental collision damage waiver: You’re covered for damage due to collision or theft when you rent an eligible car with your Capital One® QuicksilverOne® card. The Capital One® Spark® Classic for Business offers similar purchase protection and auto rental insurance. It also offers extended warranty protection, while Capital One® QuicksilverOne® does not. Most personal credit cards that offer cash back rewards of 2% or less don’t charge an annual fee. You’ll need to calculate whether you’ll spend enough with this card to justify the $39 annual fee or if a card that offers smaller rewards, like the Capital One® Spark® Classic for Business (1%) and no annual fee, is a better fit. We considered both user reviews and editorial reviews when rating Capital One® QuicksilverOne®. Both users and editorial reviews find the rewards on this card to be excellent considering this is meant for users with fair credit. The APR is one of this card’s biggest weaknesses, so users should avoid carrying a balance, if possible. Capital One® QuicksilverOne® users applaud the rewards rate and the issuer’s customer service. Some complain about not being able to get a higher credit line. Capital One says cardholders can get access to a higher limit after making their first five monthly payments on time. We rate small business credit cards based on their costs, rewards, and benefits. Capital One® QuicksilverOne® does not compare favorably to other personal credit cards because of its annual fee and high ongoing APR. It is, however, a decent alternative to business credit cards for fair credit because its ongoing rewards are a bit higher than most. You can apply for the Capital One® QuicksilverOne® online. The application takes minutes and you can get approved instantly. Once approved, the card typically takes seven to 10 business days to arrive. Know your credit score before applying for a credit card. If your score is less than 670, you may be a good candidate for a small business credit card for fair credit. Rewards will be less lucrative on this type of card, and your fees will likely be higher. But this doesn’t have to be your go-to card forever. Use the card responsibly to improve your credit and gain access to better business cards. We think the Capital One® Spark® Classic for Business is the best small business credit card for fair credit because it charges no annual fee, requires no deposit, and returns a modest 1% of your spending in rewards.